Announcement Follow me on Instagram @theCherryChick. 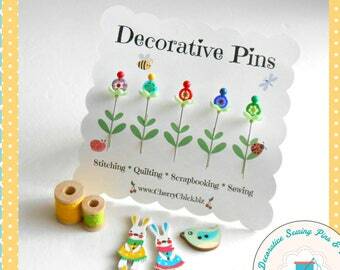 Shop here for Decorative Sewing Pins, Pincushions, Needle Minders, Scissor Fobs, Quilting clips, and Tape Measures. 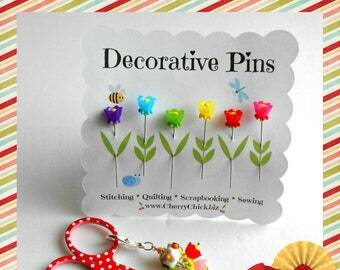 I offer a whimsical collection of floral and garden decorative pins to add pizzazz to your pincushion, decorate a hat or lapel, dress up a bulletin board, add interest to a scrapbook page, or handmade card. 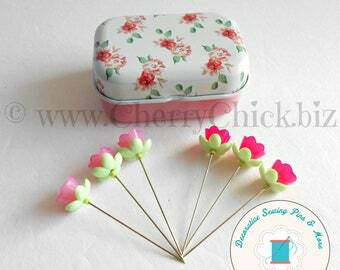 I have charming tins filled with quilting pins and flower decorated sewing clips. I sell silver ring pincushions, wrist pincushions, and pincushions to set beside your sewing machine. Follow me on Instagram @theCherryChick. 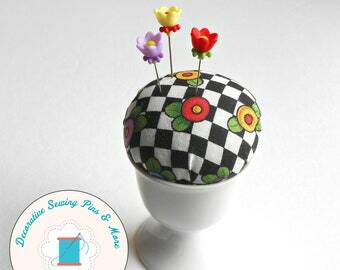 Shop here for Decorative Sewing Pins, Pincushions, Needle Minders, Scissor Fobs, Quilting clips, and Tape Measures. 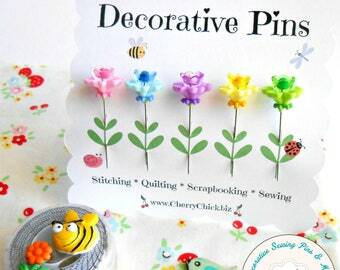 I offer a whimsical collection of floral and garden decorative pins to add pizzazz to your pincushion, decorate a hat or lapel, dress up a bulletin board, add interest to a scrapbook page, or handmade card. 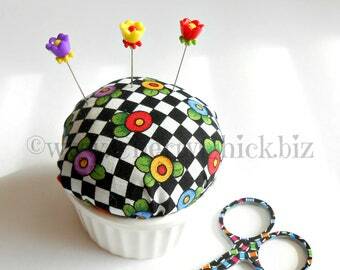 I have charming tins filled with quilting pins and flower decorated sewing clips. I sell silver ring pincushions, wrist pincushions, and pincushions to set beside your sewing machine. 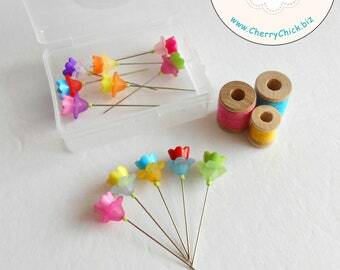 I had been wanting a set of these cute planner clips!! I couldn't decide which ones with four sets to choose from!! 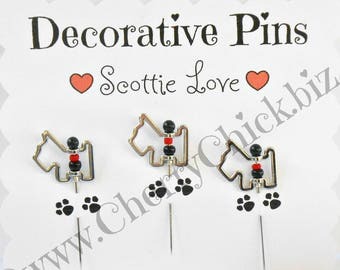 So I purchased all four sets from DecorativeSewingPins!! 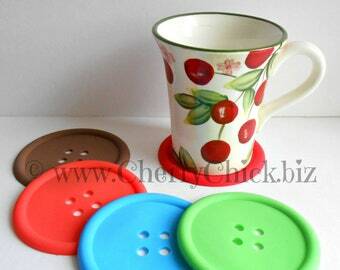 I'm a return customer many times and I love these sewing themed items that are functional as well as cute!! Safe fast shipping and always great communication with Vicki!! 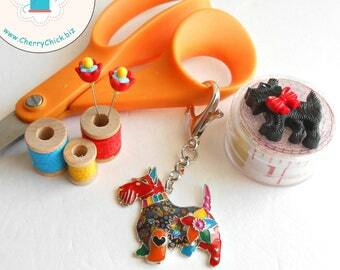 Another cute set of sewing themed planner clips!! 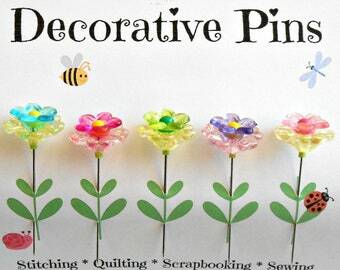 Vicki of DecorativeSewingPins, always has the best items!! I've always been very happy with all my many purchases!! 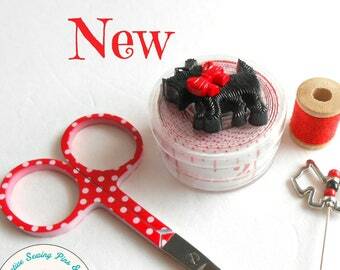 This is the sweetest little tin of sewing/quilting clips ever!! So handy!! I do alot of hemming and these are great to even have on the go!! Maybe even to clip color or material samples in your purse, to take to the fabric shop!! 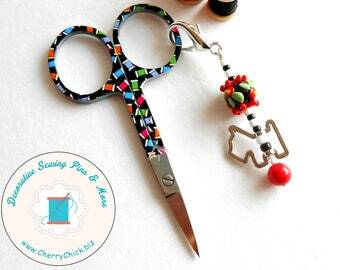 Vicki has the best functional and cute sewing themed listings!! 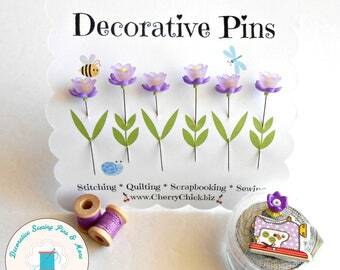 DecorativeSewingPins has a wonderful selection to choose from for yourself or great gifts!! 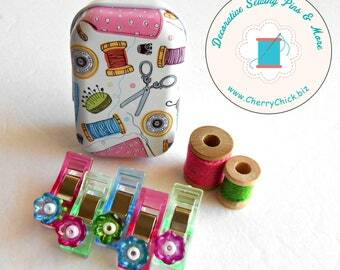 These sewing/quilting planner clips are the bigger size and are fantastic!! I purchased all six sets!! With polka dots and gingham checks, it's hard to decide which sets of these planner clips are the cutest!! I purchased all the sets and I love them!! 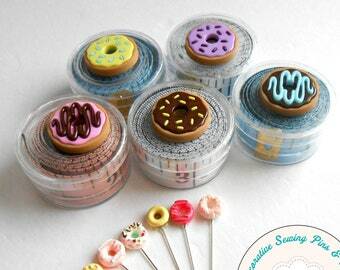 Vicki of DecorativeSewingPins always has the most functional sewing/quilting items that are cute also!! Fast safe shipping and the greatest communication!! 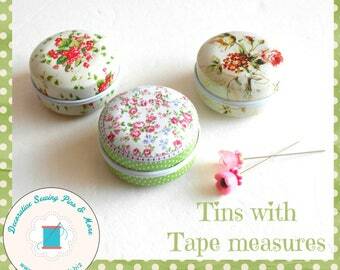 I love this tin of buttons!! 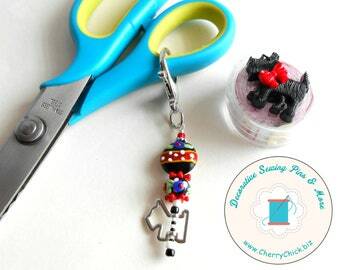 Just the right size for your sewing box or purse!! 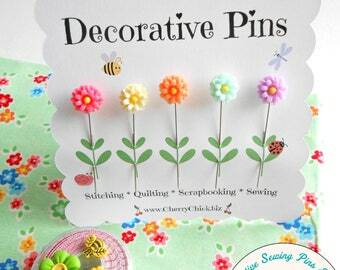 I have purchased many of the wonderful items from DecorativeSewingPins shop!! Vicki is always so kind and thoughtful!! It's a pleasure to have her items everywhere in my sewing room!! A little behind the scene shot where I work on my little Pink desk in my Studio. I've been somewhat "artsy" for as long as I can remember. Pair that up with my experience in retail and wholesale, finding myself unemployed due to a lay off, a love for technology, and my first jewelry website was born in 2003. I moved some of my whimsical jewelry designs here to Etsy in 2008. 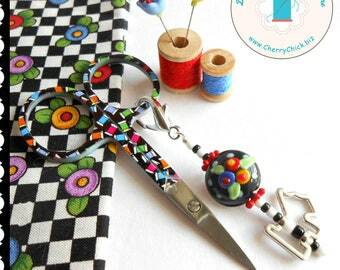 You'll find lots of Cherries & Checks in my jewelry designs in my shop "CherryChick". 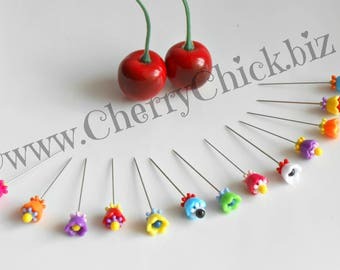 In 2014 I started adding decorative sewing pins, and then pincushions to my CherryChick shop but I have decided to create a separate shop exclusively for my sewing accessory products. 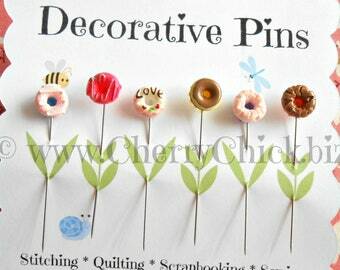 So in the beginning of 2016 Decorative Sewing Pins & More was born. My dream is to make designing & running my Etsy shops my full time career. I have some wonderful customers who I truly appreciate. 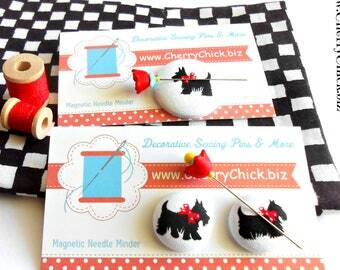 Hi...I'm the Cherry Chick behind Decorative Sewing Pins & More. Thanks for stopping by and taking a look at my wares. I appreciate your support. Thank you so much for stopping by to check out what I have to offer. I truly appreciate your business.